RCG Security products distributes some brilliant technology designed for the access control market. verification time of less than 1 second. • The first facial recognition application that runs primarily on TCP/IP. • Easy integration with corporate LAN. • Proven speed and accuracy. • Built-in infrared sensor and RFID reader. • Perfect for access control and time-and-attendance application. • Facial verification takes less than 1 second. This reduces cost of maintenance. Not the usual product posting in this site, but still a novel approach to securing those HDMI cords, that sometimes have a nasty habit of falling out. Designed to work with most HDMI components and most HDMI cords, the premise is pretty simple. 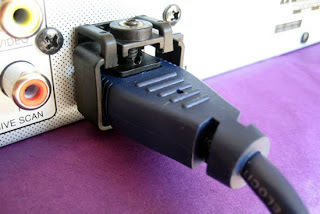 The lock uses either a screw or adhesive to stick itself around the HDMI port, forming a sort of outer port that can clamp to your HDMI cord. At $20 a pair, the EZ locks cost as much as some HDMI cords. But then again, if you're spending thousands or tens of thousands on your home theater setup, maybe they're not a horrible investment. This concept door lock for bathrooms is designed to initiate assistance for people who might be physically or mentally challenged. The concept is: In the initial setup, you program a time limit—say, 20 minutes—for your future bathroom. 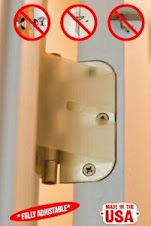 From that point on, whenever you close the door and activate the alarm, the Help Lock will sound a preliminary alarm after the allotted time, giving the bathroom inhabitant 30 seconds to deactivate it. After that, the doorknob will initiate an alert call to whatever number you've chosen to enter, whether it be a neighbor or emergency services. This is a concept that will be released commercially in the near future. Is Your Car Remote Broken? Your car remote has broken and you think you need a new one or have it fixed. Your remote buttons have become worn out due to excessive use? Ever put your remote and keys in your pocket, after locking your car only to find your car unlocked when you return, possibly due to accidentally knocking and activating the remote? Have you ever dropped your remote in a puddle and pick it up and it no longer works? How about an extremely cost effective solution that does what you want quickly and easily? Installing your Remote Tote is so simple a child can do it! 1. Insert remote in cover. Now Available in Fashion Conscious Colors. This incredibly effective and inexpensive option could save you hundreds of $$$ in replacement remote controls. You purchase a tote or case for your cell/mobile phone to protect it, don't you? Why not protect you car remote too? 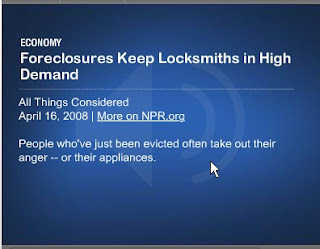 Earlier this year, I wrote a post (repeated below) about an article appearing on NPR that accounted how some locksmiths are faring reasonably well during a sad economy. It is often not a pleasure to travel into neighborhoods to perform lock change requests for banks and foreclosure administrators, when you see exactly how many homes and properties remain vacant. Master Key Systems America, a family owned locksmith and door repair business, serving residents and businesses in the greater St Louis region with unrivalled services and products. Our specially equipped service vehicles are staffed by competent and qualified technicians, who can quickly and economically perform your required tasks, happily and efficiently. For an obligation free estimate, call us on (314)266-1533. 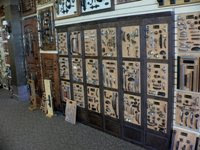 For the last couple of years, I have been referring many clients to visit a very professionally set up and run showroom, that displays many assorted high quality brands of locks, pulls, door knobs, and cabinet hardware. 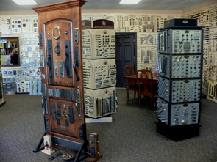 Many people choose to still shop at Lowe's and Home Depot for their hardware, but the professional advice and dedicated specialist displays presented by Locks & Pulls Design Elements located at 9590 Manchester Rd, Rock Hill, MO are second to none in the local St Louis market. The company is owned by reknowned plating industry professionals Thiess Plating Co., a St Louis icon in excess of 60 years service to the greater St Louis community. Pictured to the left, are some of the displays you can view in their showroom. On display, are products from leading manufacturers, including Baldwin, Schlage, Kwikset, Emtek etc. The extremely wide ranging displays and vast depth of products offered are tailored to the discerning tastes of home owners, remodellers and devellopers. Visitors to their store often find replacement products for some of the very old hardware found in many of the period homes around St Louis. Many new home builders and renovators find the friendly staff and ambient environment suitable to helping them choose suitable and functional decorative locks, pulls, door knobs and decorative hardware to suit their varied tastes. As the showroom for Thiess Plating Co, the staff can advise on repair and refurbishing of existing hardware at surprisingly competitive prices. Significant recent inquiries lead me to write todays post. Our signature product Bilock, is starting to make inroads into the US marketplace, probably due to the consumers realizing the superior manufacturing and quality of this amazing and so advanced Australian designed lock and key product. Yes the product is originally designed and manufactured in Australia, however cylinders for the United States market are predominantly manufactured inside the mainland USA, under license (Connecticut, to be precise). Many customers today, appear to be concerned about the dwindling economy and labor markets. One certain method to help to sustain the local markets is to buy locally. Buying locally includes purchasing products manufactured in the USA. As a St Louis Missouri based locksmith company, we proudly offer locally produced hardware products to benefit our clients and attempt to help the local economy. So, How Much Do Bilock Key Systems Cost? I'm glad you asked. 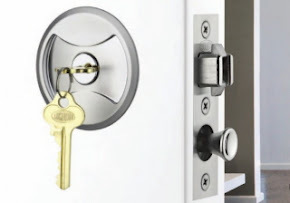 Master Key Systems America LLC is a licensed USA dealer for Bilock Extreme Security Products and as such advertizes the cylinders and keys at the recommended retail (list) prices. We offer significant discounts for quantity orders, information that can be sourced upon application. We charge a standard keying fee per keyhole of $15.00 to build the inner cores and $9.00 per key (initial supply only). We are happy to supply hardware to anywhere in the USA, but remember, all Bilock systems are permanently recorded in our secure database, to protect the interests of both the client and the manufacturer. Keys can only be reproduced as originals. They can not be duplicated (due to the nature of the product) and can only be supplied after receipt of a suitably and correctly authorized letter of request. All lock cylinders are keyed in our factory workshops and checked and rechecked by management prior to release to the client. This action maintains the superior quality control and reinforces our guarantee against faulty workmanship. Further to the manufacturers warranty of 12 months on parts, Master Key Systems America LLC also provides the first two (2) maintenance services (at 6 and 12 months) at no additional charge, only on systems installed by our technicians. This provides the client with a further guarantee on the working condition of their product and peace of mind for at least the next 12 months. For a confidential discussion about Bilock and the benefits it offers you, feel free to contact us at your earliest convenience. It is sometimes astonishing to find out from many people that locksmiths are more often presumed to make keys for cars. Locksmiths have been in the business of helping all people with their physical entry systems for thousands of years. From car keys to house keys to cabinet keys to antique cupboard lock keys to commercial office keys to safe keys, locksmiths have and are regularly helping people to secure their properties, replace lost keys, recode door locks, make new existing keys (without changing locks), install high security key and access control systems, consult and advise on all forms of physical and electronic security protection equipment. The security protection industry is one of the largest industries in the world and there are many and varied practitioners in the various aspects of the industry. More often than not, locksmiths have been the stable and trusted profession over many years primarily due to the constant evolving learning curve required to keep abreast of developments. You can decide to place your trust in the modern/new breed of security professional or maintain the long trusted and tested accumen of the small but high integrity based locksmithing industry. 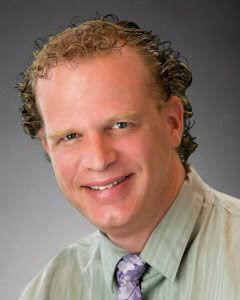 It is a small industry made up of many talented practitioners. There are those who seek to bring the industry to disrepute but people who trust their local locksmith often find the quality of the workmanship and service, second to none. 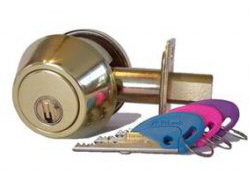 Trust in your local locksmith is akin to trusting your healthcare professional with your life. Locksmithing is an art, a craft passed down through the generations. It can be learned, but locksmiths must constantly seek to further their education of the trade in order to prosper and service the demands of an ever changing marketplace. The new age of the locksmith industry is upon us. Locksmiths who get involved with the Society of Professional Locksmiths, realize that with constant discussion and education, can they hope to provide their customers with the superior services that the past has helped prepare the future for. The instructors, teachers and respected industry professionals are joining the Society of Professional Locksmiths because it aims to educate the industry and the marketplace together, providing a safer and better life for all peoples.